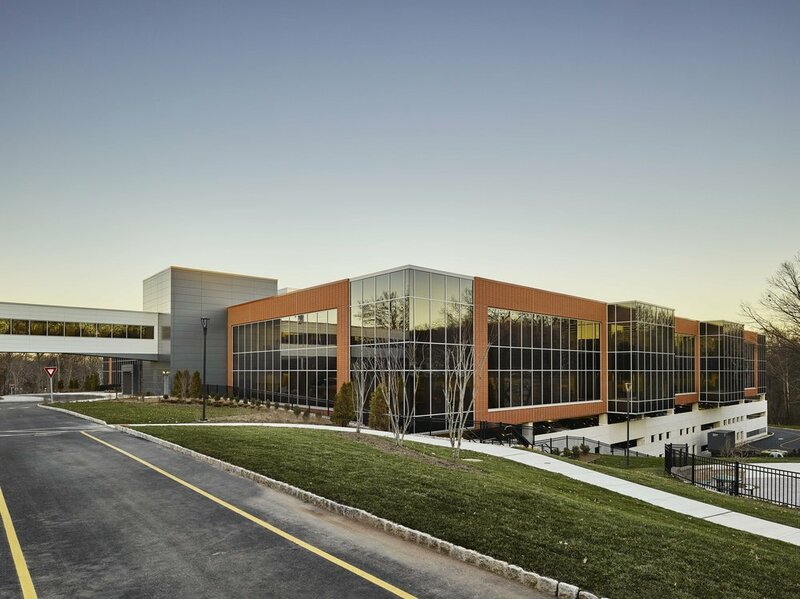 The integrated design/build of the North American headquarters for pharmaceutical company, Celgene Corporation, called for an architectural and structural solution that took advantage of the natural grade of the site. 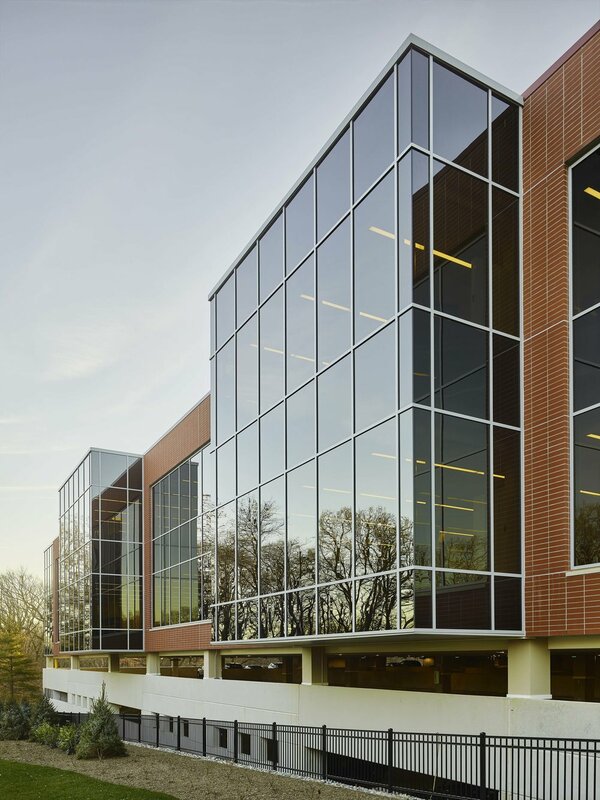 The resulting building design minimized massing by utilizing a creative mix of glass curtain wall and brick maximizing views to the outdoors while flooding interior spaces with daylight. The design also called for a creative and engaging link to an existing structure located adjacent to the new building. This architectural notion features an environmentally controlled link that pleasingly bridges old to new. 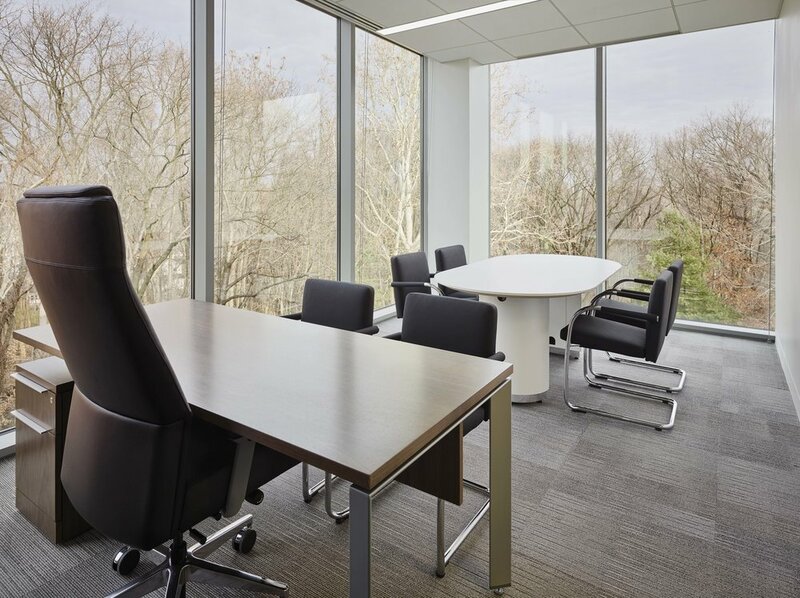 The internal space is an open, dynamic and collaborative workspace containing numerous break out spaces at the exterior “glass perches,” along with informal meeting areas in the centralized atrium. 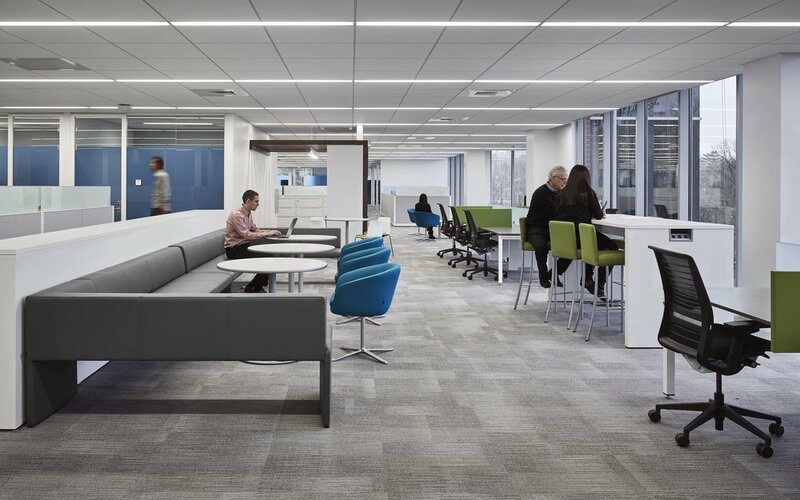 Centralized circulation paths, glass fronted office spaces and low workstations allow the space to be seen from one end of the building to the other on all sides creating connectivity to the space within and the world beyond. The cafeteria was added as a programmatic element after construction had already begun. Our design team developed a solution that situated the cafeteria in one of the atrium skylight bays and incorporated glass and faux wood aluminum tubes to mimic an exterior wood pergola. 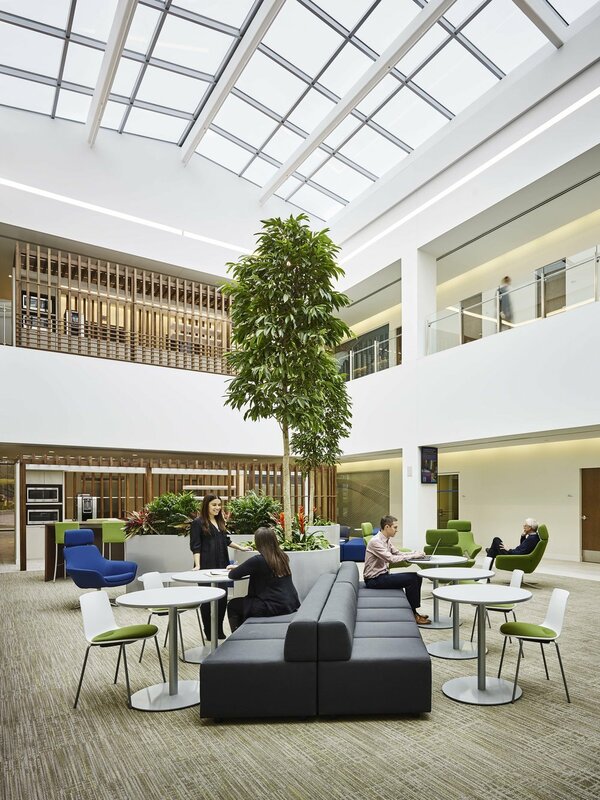 Because the cafeteria is positioned under one of the 3 main skylights, there is a feeling of being outside and detached from the office space, unlike that of a typical office cafeteria. This innovative facility houses the latest in MEP engineering technology. Another interesting aspect of the project features a partially below grade parking solution with four levels of parking and space for 948 cars. 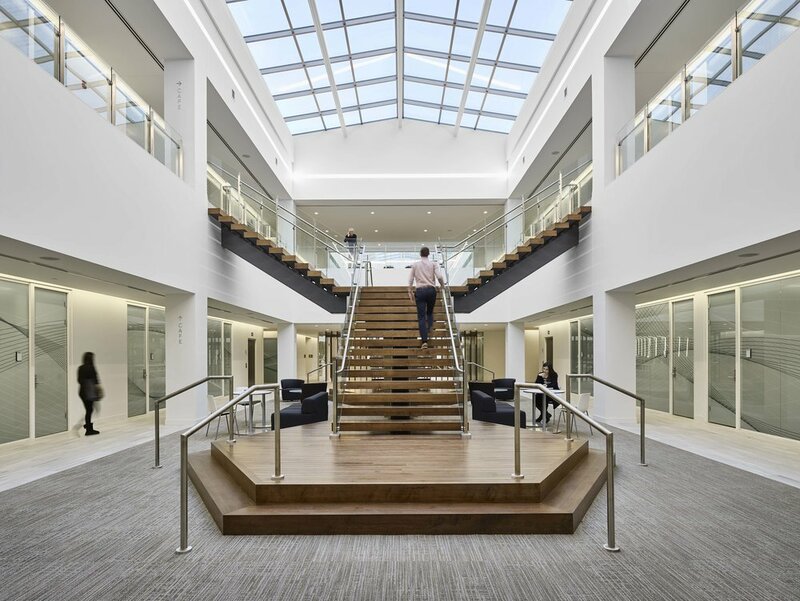 Working hand in hand with our design/build partner, Turner Construction Company, the team utilized lean design and construction principles and multifaceted collaboration to deliver the project on time. 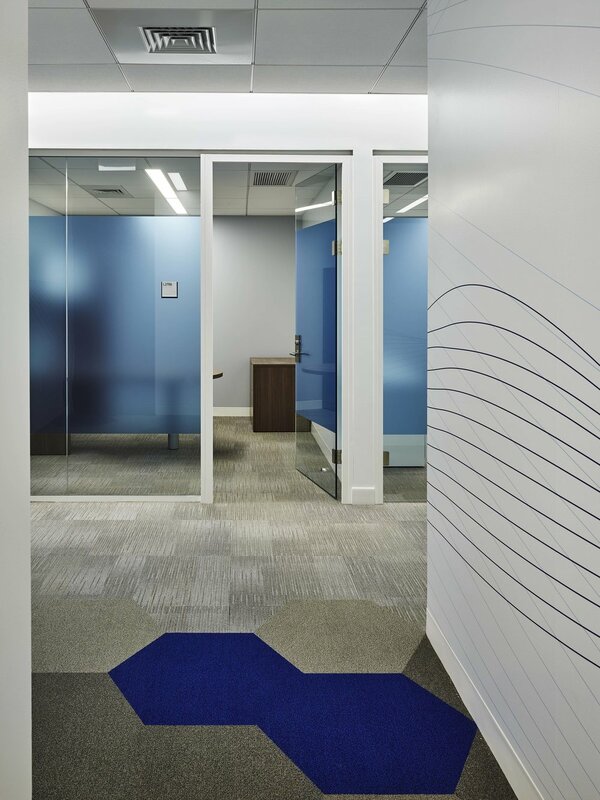 Through organized client interaction and information gathering during the design phases, the course was set for the successful completion of the project, resulting in a new headquarters facility which all stakeholders are proud of. 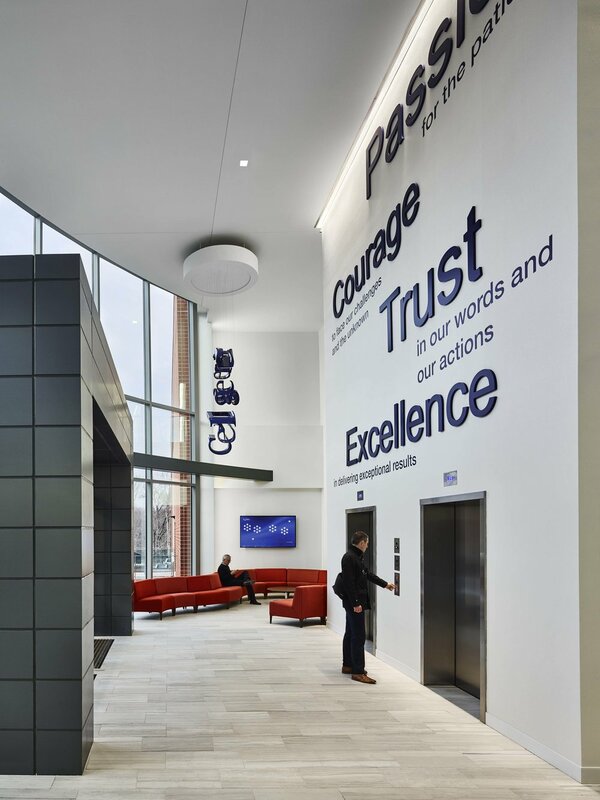 This project is certified LEED Gold.